In our series Beauty Boss, we’re highlighting individuals who are owning the beauty space and turning it upside down in innovative ways. You’ll be able to get an exclusive look at their very personal journeys to success, as well as hear their advice to anyone wanting to follow in their footsteps. The makeup landscape today is a Technicolor wheel of swirling colors and textures. Purple lipsticks, green blush, and glitter everything are all considered the norm (and ideal Instagram fodder)—but that wasn’t always the case. There was a time, way back when, when the makeup world was decidedly more muted, scattered solely with pinks and reds. Dark days indeed. So what spurred this dreary, colorless world into an Oz-like paradigm shift? We can’t say just one thing is solely responsible, but a specific makeup brand certainly comes to mind: Urban Decay. The brand’s tagline, “Beauty with an edge,” sums up both its aesthetic and its overall mind-set toward makeup. With collaborations with boundary-breaking celebs like Gwen Stefani and Ruby Rose, and break-the-internet products like the Naked Palette and the brand’s soon-to-be-released Vice lipsticks (Will there be a vault where you can buy all 100? Will there?! ), Urban Decay embraced the edgy, gritty side of beauty when everyone else was tiptoeing around it. And it’s certainly worked in its favor—the brand is one of the most influential makeup brands online, with over 5.2 million followers on Instagram and counting, and is constantly named as a favorite among beauty editors, consumers, and makeup artists alike. Every (makeup) ship needs a captain, and Urban Decay’s is co-founder and Chief Creative Officer Wende Zomnir. As the creative visionary helming the ever-expanding UD empire, Zomnir is responsible for guiding the brand forward and always making sure it’s one step ahead—oh, and did we mention she’s the one conceptualizing all the kickass new products? We caught up with Zomnir over the phone to chat about her journey turning Urban Decay into the edgiest makeup brand in the world—keep scrolling to get to know this Beauty Boss! BYRDIE: Tell us about your journey to Urban Decay and how it prepared you for your current role as CCO. WENDE ZOMNIR: I credit some kind of weird things for making me ready. The first one is that I was born in Texas. That helps with the makeup part right off the bat. [Laughs.] I remember being a little girl digging through my mom’s makeup drawer and being very fascinated early on. A lot of people don’t know this about me, but I actually was entered into the Miss Texas Pageant one year. You have to go out and sell yourself and find sponsors and find the cash you needed—it put me out there and forced me to go knocking on doors. I had to be willing to put myself out there. The third piece of my journey was when I ended up working at a big ad agency in Chicago. I worked on a lot of accounts that fascinated me—a lot about popular culture and appealing to that “cool” factor that taught me about marketing and how to create an edgier company. It gave me the business skills I needed. I wouldn’t have honed in if I just dived into something entrepreneurial right off the bat. BYRDIE: You saw a missing market in the makeup space and decided to fill it—was that decision difficult? What were some of the questions you asked yourself when you were determining whether or not to dive in headfirst? BYRDIE: What do you mean when you say the makeup she wanted didn’t exist? WZ: When we got together in the mid-’90s, everything was all department stores. There was no Sephora, and everything that was high-quality was pink, beige, or red. Maybe you’d get a mauve for an “edgy” color story. Why can’t you get a great green or purple? Why do you have to go to the drugstore? Back then, makeup in the drugstore wasn’t what it is today. We didn’t have brands like Nyx. It was all chalky and not great. I was going to take a break and become a certified scuba-diving instructor and freelance-write on the side—but then this opportunity came up. BYRDIE: Can you explain a bit about how the name Urban Decay came about? What was the decision to go with urban landscape-inspired names like Roach, Smog, and Oil Slick? WZ: That actually was Sandy’s husband. Everyone was sitting around and saying “It should be Urban something.” And her husband called it Urban Decay, and it just stuck. The whole idea behind it was that it was edgy and in your face and so different from what it was at the time. You know when you walk into New York and stare up at the buildings with the crumbling bricks? It’s really sort of beautiful in this cool, interesting way. It was a way of finding your own originality, instead of being really cookie cutter. And we knew no one would forget it. I feel like now, with Instagram, that sort of vision we had has fully expressed itself and come to fruition. Because how many different kinds of amazing, cool, alternative different beauty are out there to be observed and loved? Versus, like, everyone needs to look like Christie Brinkley. Hey, if you’re perfectly blond and beautiful, more power to you. But that’s not the only way to be beautiful. WZ: I try to spend the morning with my kids and take them to school. Then I usually try to get a workout in. And then I go to the office. On a typical Monday, I go in and work with my product development team and look at calendars and name shades and work on new artwork and graphic treatments. It’s a day I spend being creative and immersed in the product, trying new things. And then at the end of the day, I go through some of the administrative stuff and come home and do something with my boys. My job has evolved so much over time. I’m still super hands-on with the products. I try every texture and work with them on the shades. It’s really my favorite thing to do, and when I get a nugget of a great idea and expand on it and grind out the little details, that make it special. That’s really exciting and very fun. In terms of the rest of it, I really try to give the marketing team and merchandising and creative team just guidelines and inspiration. I’m just a sounding board. I have such a good team that they really run themselves. My job is to evolve without changing the DNA of the brand. I spend a lot of time doing that, too, which is fun, and shooting videos and doing social media stuff. BYRDIE: What are some of the biggest business lessons you’ve learned along the way? WZ: From a business standpoint, if I was mentoring someone starting a business, I would say to make sure that their financial piece is really in order. It’s the least glamorous part of the job, and no one wants to think about it. But if you have that part in order, you can be more creative. So when I started, I said if you make great products, they’ll sell themselves. You have to have a great sales operation and a great financial backbone, even if you’re small and you’re just one person. They have to be empowered to make good decisions in that role. Otherwise, all the great products in the world won’t sell. BYRDIE: What about any general life lessons? WZ: Well, I’m sort of in the middle of raising my boys right now, so I would just tell people it goes so fast—you should really find a way to enjoy your family and your work at the same time. Finding work/life balance is hard, but try to achieve it. You get so sucked in by the workplace, but at the end of the day, you come home and these little people really need you. The most fulfilling time is with them. Even if you’re single, you’ve got to find the balance. I have a yoga teacher who says at the end of every class, “Have gratitude for your health,” because with your health, anything is possible. It’s so true. Take care of yourself first. BYRDIE: Urban Decay is now owned by L’Oréal and has been sold to a few other companies before that—what is the acquisition process like? WZ: Different people hold the cards in different ways and in different aspects. It’s almost too complex to give you a good answer. Did I have input on it? Of course I did. And did I think L’Oréal was the best fit for us? I did. I think they are the one big, strategic group that I felt like would understand us as a standalone brand and not want to fold us in. BYRDIE: Describe a lightbulb moment on the job. WZ: I was standing in front of the Sephora gondola. 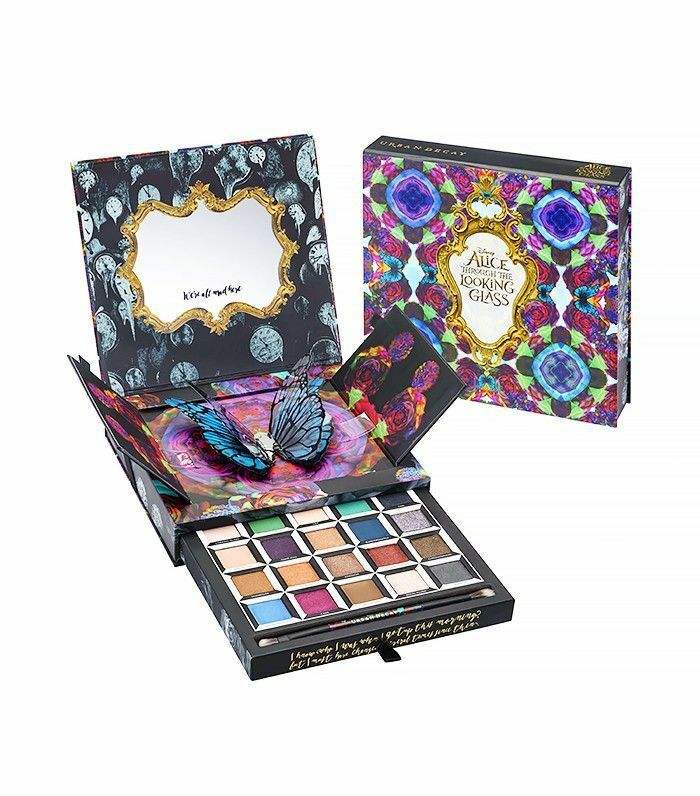 And we had just changed the packaging on the eye shadows and thought it was so cool, and I thought, “If everything would switch to the new packaging format, then everything would be done.” But then I realized it’s never done. It’s always a journey. It’s always evolving, always changing, and you’re never finished. When I was able to embrace that idea of never being finished, it was really liberating for me creatively. It allowed me to look at Urban Decay differently as a brand that could always be interesting and fresh to its customers. BYRDIE: The Naked Palette has been such a standout hit for the brand. What’s the story behind it? WZ: I knew I wanted to do a neutral palette. 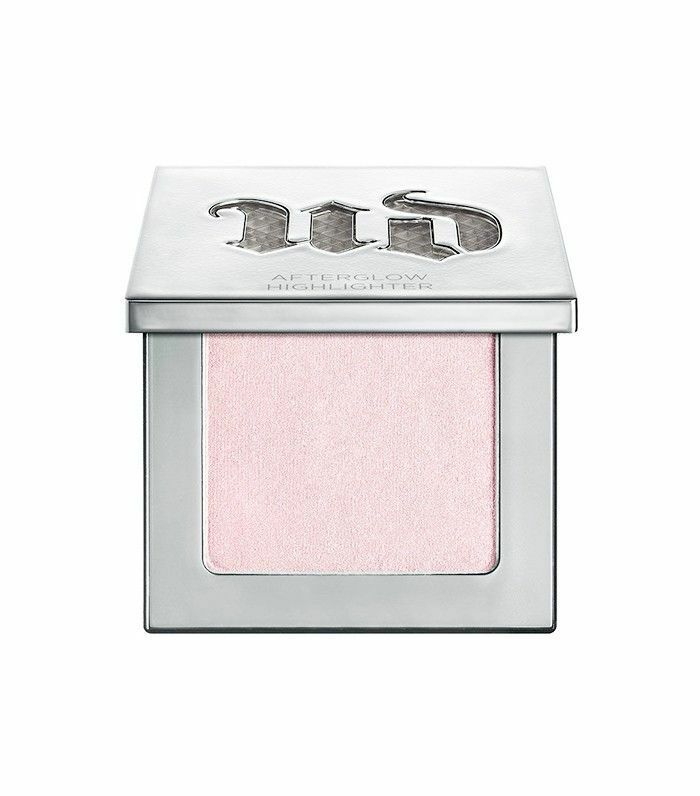 Somebody had said that it’d be nice if we had a neutral palette along with the bright eye shadows. I thought it would be a four-pan palette. I have two other women that I work with pretty closely on the creative side, and we were just brainstorming. I asked them, “If you were stuck on a desert island, what would be the four neutral eye shadows you would bring?” Everyone brought their four in, and I brought mine in, and I laid them all out, and it actually looked like a beautiful palette. There were a couple of dupes, which we pulled out, and one shade we added in because it was missing. Our four-pan palette turned into the 12-pan palette. I always say it’s the desert-island story that created the Naked Palette. BYRDIE: We know this is like asking you to pick your favorite children, but what’s your favorite UD product you’ve ever launched? WZ: I have to say my favorite product is the Moondust Eye Shadow ($21) we make called Zodiac. I can go bright with it; I can go smoky with it. I use it for a bunch of different looks. It has this green sheen to it that makes my eyes look greener. I actually think the Vice4 ($39) might be the best palette ever. Here’s the thing about Vice4: It has so many different options in it, and I love all of them. I can do this green smoky eye, I can do a black-and-gold eye, I can do an all-purple eye, I can do an aqua-blue eye—you get the picture. WZ: My advice to people would be to carve out some time for yourself every day. Even if you carve out a little mini workout, it’s something you do for yourself. It goes a long way toward making you a better person. If you just give, give, give, your bandwidth is gone. It’s kind of like an airplane situation: Secure your mask before helping others. BYRDIE: Lastly, can you share your secret to success in one sentence? WZ: It’s the overall tone for Urban Decay, and what’s made our brand successful: You want to be the coolest girl who’s also really nice. Keep scrolling to shop our three current favorite Urban Decay products! Were you inspired by Zomnir’s words? Check out the rest of the women in our Beauty Boss series!